Unless you’re living under a rock, at the bottom of a lake or on the top of a mountain, the chances are modern technology has had a significant impact on your life. As new technology becomes more advanced and more easily accessible, it’s hard to find an environment that hasn’t got onboard the trend with online integration, new advanced gadgets and a higher-than-necessary number of touchscreens. Our beloved gym is no exception, and while we might be used to training ourselves in the same environment we always have, a massive trend towards health tech and impressive new gym equipment could change that very soon. 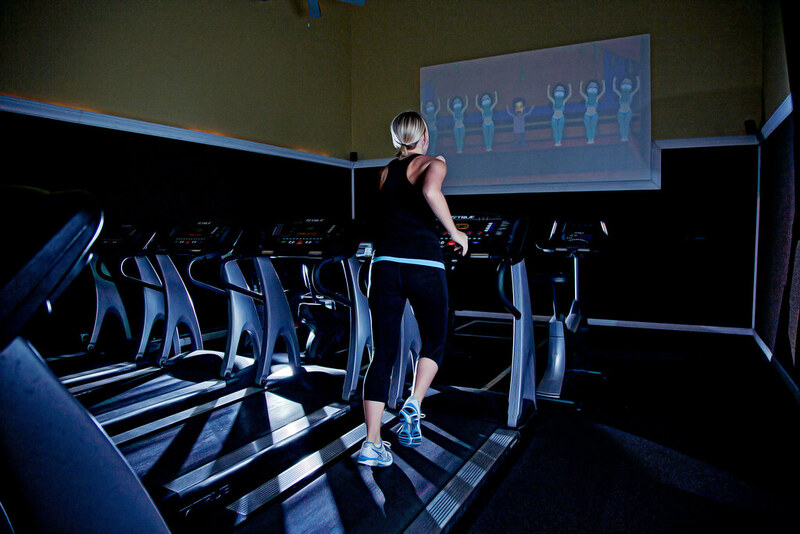 Here are some of the most interesting new ways gyms are pushing it towards new technology. Running has always been a primary form of exercise throughout human history, and what was once our favourite way to catch food and escape from woolly mammoths has evolved to become the world’s number one form exercise and most popular method of keeping fit. With the introduction of treadmills, we can safely say this physical activity is not nearly as engaging or thrilling as it once might have been, but luckily new forms of technology are looking to change this and add the thrill back once again. 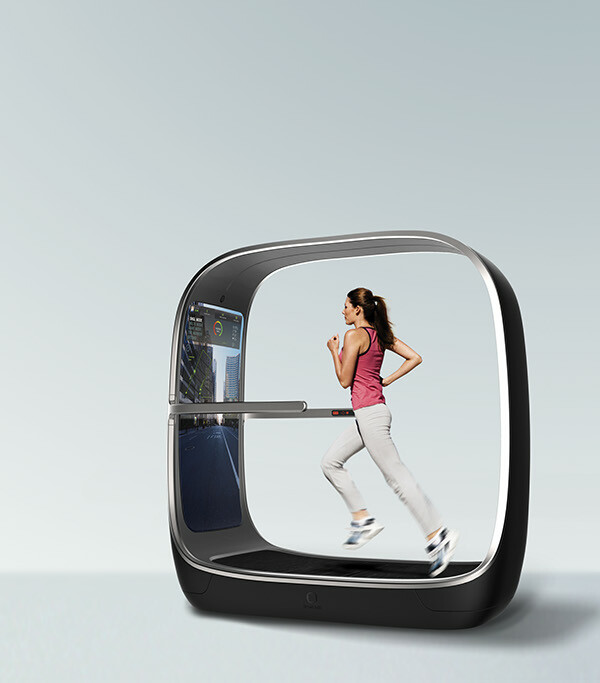 Take the Voyager concept treadmill for example; it contains a person-sized screen that lets users escape as they play interactive running games, run through famous city streets and race against their friends. It might look a bit like a hamster wheel, but these machines will likely provide a great way to stay engaged while carrying out our usual indoor runs. My only advice for the designer would be to put another screen at the back for a dinosaur to chase you on – fear is always a much better motivator. A second piece of equipment that’s more than likely to see a splash of virtual reality added in the years to come are cycling machines. Another notoriously boring form of cardio, cycling indoors have long been a grueling form of exercise that will have you staring at a blank wall while you churn your legs for eternity. While sometimes listening to music or looking at your phone can be enough, new tech is looking to make cycling on the spot a lot more exciting and feel far more genuine. The “Les Mills - The Trip” workout hosted by Village Gym is a great example of how technology can be implemented alongside cycling machines to make the experience more similar to, if not a bit more exciting than your usual peddle outdoors. By transporting into a virtual room with a display that matches your speed and cycling, paddlers can enjoy a far more engaging exercise that will have them entertained throughout their journey. The recent technological obsession with our health and wellbeing has seen the birth of lots of cool new gym equipment, but perhaps one of the most prominent standouts so far has been the VMX Rope Trainer. Taking the form of a rope climbing machine, the Rope Trainer is a completely unique piece of apparatus that allows users to improve their fitness with both cardiovascular and strength conditioning at the same time. The machine can be set up for deadlifting, abseiling or horizontal pulling and has already become a favourite amongst Olympians and the US military. Its £5,998 starting price might put off a fair few gyms from implementing already, but as the technology becomes cheaper and more commonly available we’re sure to see devices such as this one become a prominent exercise for our future workouts. With the huge boom in the health tech sector seeing wearable smart-watches and fitness trackers become one of the fastest growing consumer products, it’s perhaps no surprise that the thing we can expect to see change the most within gyms are gym users themselves. Wearable technology is becoming increasingly mainstream - you may have already joined in the trend with your own Fitbit or smartwatch, and if not, you will certainly know someone who already has. This new obsession towards wearable health tech will likely see devices become more integrated with equipment inside the gym and this concept has already entered its first steps with Apple's latest watchOS update. While anything stays the same? While it may seem that the technology industry’s entrance to the fitness market will turn our local gyms into “houses of the future”, there’s no need to worry yet as there are many gym basics we don’t expect to go out of fashion any time soon. Any sort of free-weight, such as dumbbells and barbells, are unlikely to add technology to them unless they want to get heavier, and push-ups and press-ups will likely remain just that. The role of the private trainer is just as unlikely to disappear, as although we’re seeing new digital trainers become more and more advanced, there is no app comparable to a spotter approving your lifts.